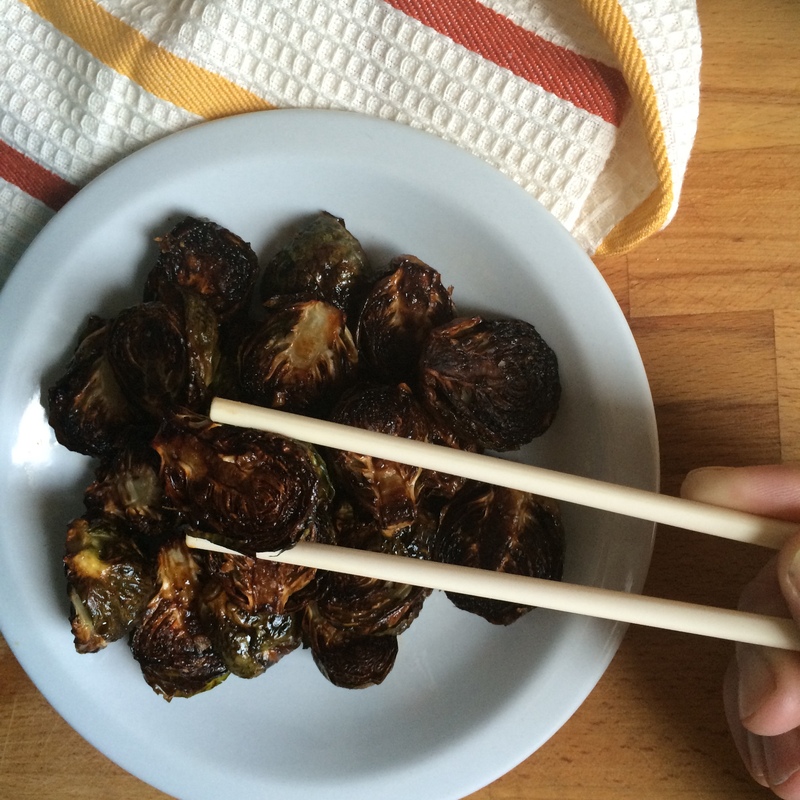 Telling you “Asian roasted Brussels sprouts are the perfect bar food snack” makes me sound like a food snob. But if you’re reading this, you’re either already a food snob, or you’re on the road to becoming one. So let’s embrace both our inner food snobbery, and this fantastically delicious and easy to make bar snack. Like clockwork, 4pm rolls around and I begin craving a cold beer and a salty treat. I look in the fridge to find something to curb my hunger. My eyes keep going back to a bag of Brussels sprouts. Conventional wisdom tells me my snack attack cannot be cured by Brussels sprouts. Conventional wisdom be damned! 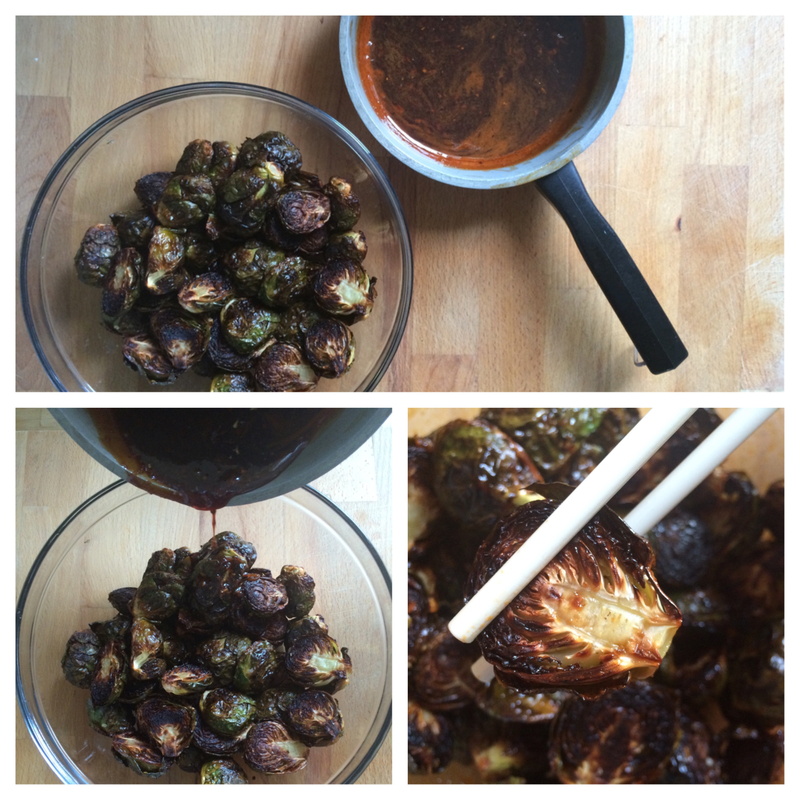 I crank the oven to high heat to get the Brussels sprouts charred and crispy, then toss them in a sticky Asian glaze. Slightly sweet, a bit tangy, and nicely balanced by the heat from the Sriracha. Kiss the mozzarella sticks goodbye. You’ve evolved into a more sophisticated form of bar food. Don’t forget the cold beer. Preheat oven to 400 degrees F and set a rack on the very top level. Cover a large rimmed baking sheet with foil and reserve. 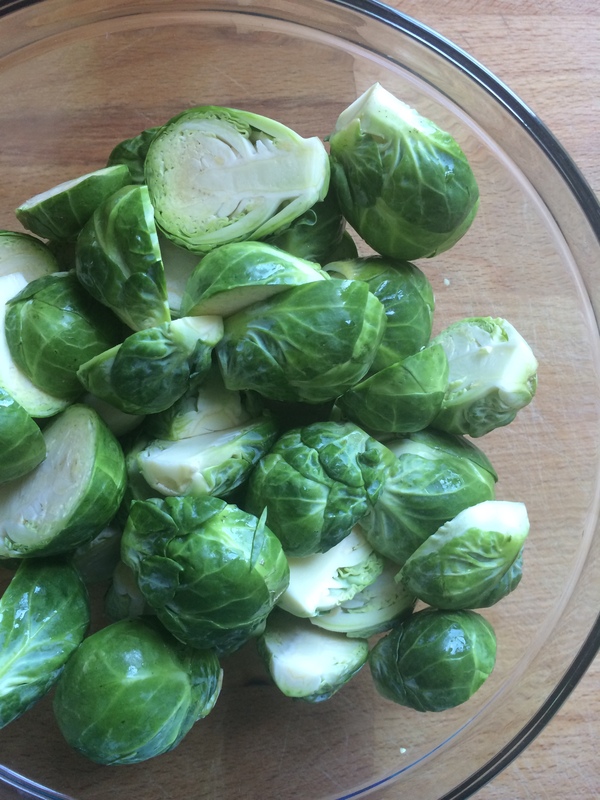 Prepare the Brussels sprouts by cutting off the base of each sprout and slicing them in half. Discard any loose outer leaves. Rinse Brussels sprouts under cold water and drain removing as much excess water as possible. In a bowl, toss Brussels sprouts with the oil and sprinkle with salt. Stir with your hands to ensure they are well-oiled and salted, and spread out evenly on baking a sheet. Place in the oven on the top rack for 45-50 minutes. After both 20 and 40 minute mark, stir the Brussels sprouts to ensure all sides get crispy. When Brussles sprouts are close to being done, prepare the sauce. In a small saute pan, combine garlic, ginger, soy sauce, fish sauce, honey, lime juice, Sriracha, and black pepper. Reduce sauce over medium-high heat until sauce is thickened (about 5 minutes). Make sure to stir frequently to avoid burning. 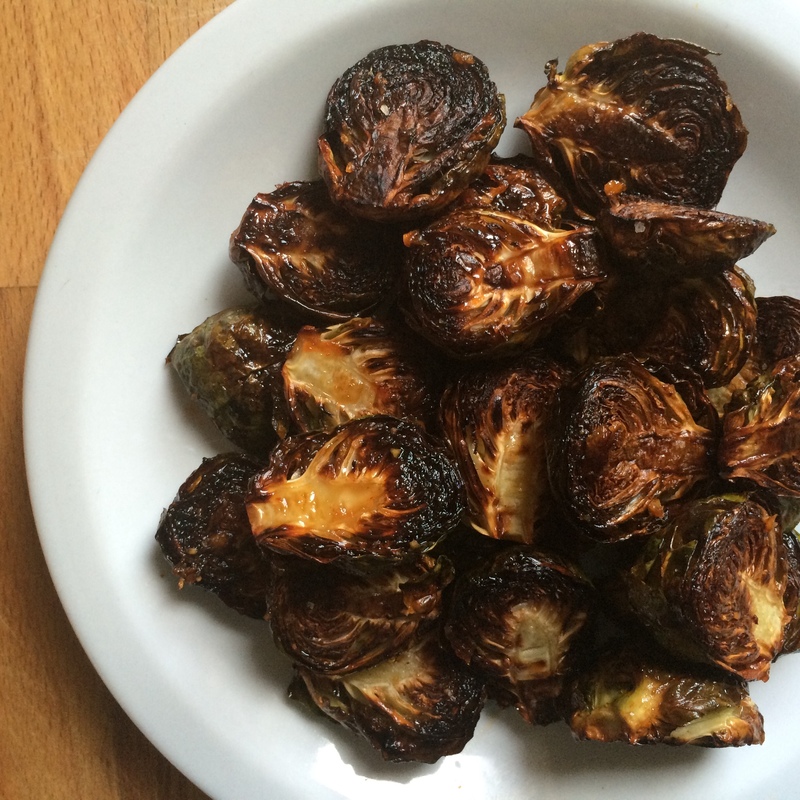 When fully cooked and crisped on all sides, remove Brussels sprouts from the oven. Place them in a bowl and toss with some of the reduced sauce. Add sauce the sauce a little bit at a time, as you don’t want the Brussels sprouts to be overly soaked. You want them to retain their crispy texture. You should have a little sauce leftover. It’s made up of pantry staples. It’s a whiz to throw together. It’s the first request from my sisters when they come visit. It’s GRANOLA. 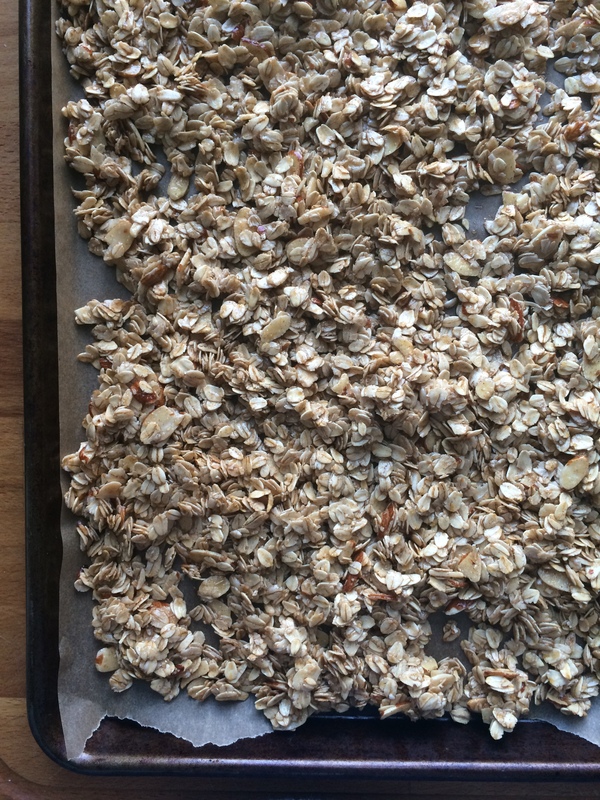 I can’t tell you how many requests I get to make granola. When my sisters came to visit a few weeks ago, this version made an appearance. A very short lived appearance … before being devoured. Oats, almonds, cinnamon and a pinch of salt are combined then tossed with coconut oil, maple syrup, brown sugar, vanilla extract, and almond extract. Lastly, a simple baking process and addition of dried cranberries. 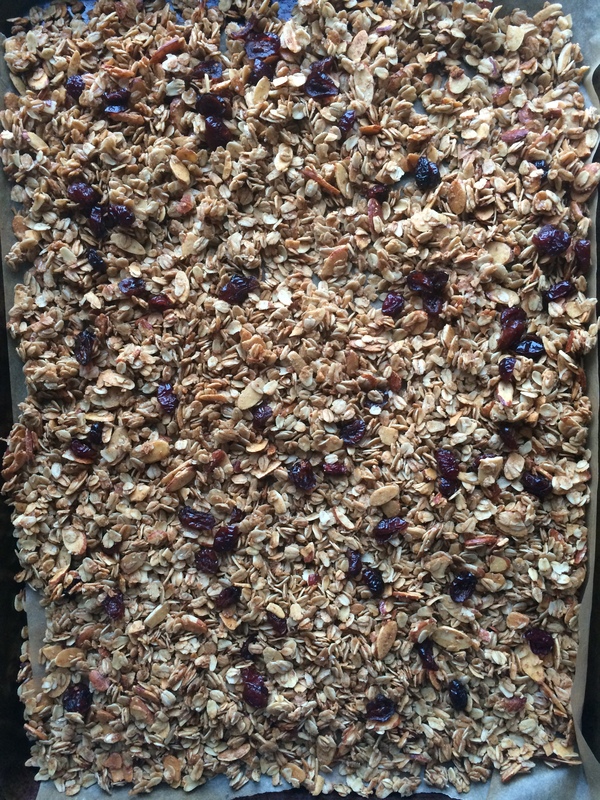 The result is a perfectly crunchy, “un-sweet”, sweetened granola with a subtle maple flavor and a less-subtle nutty almond flavor. I love versatile dishes. 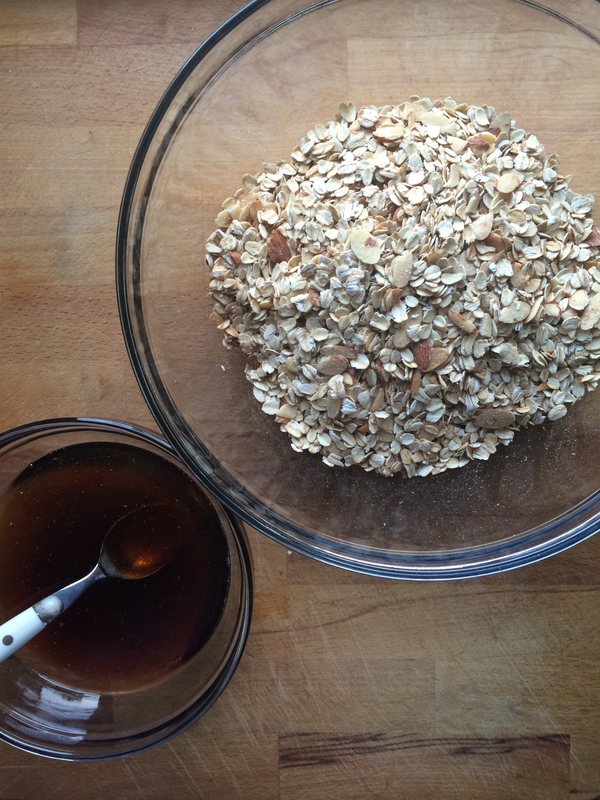 Maple Almond Granola fits that description as it wears many different hats. It’s a light yet filling breakfast. It’s a grab and go snack when on the trails. It’s a midnight craving buster. It’s a homemade treat to bring to a friend. 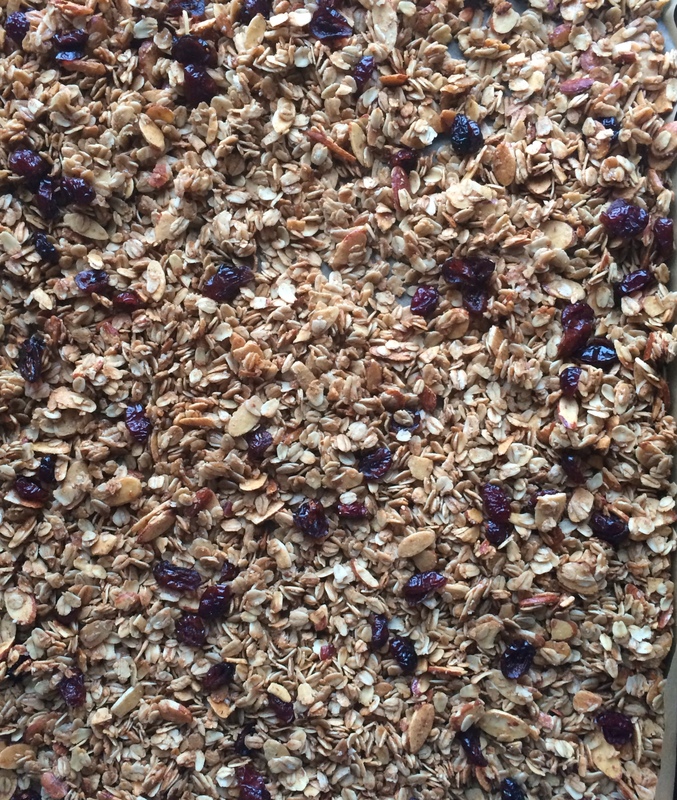 Maple Almond Granola is something deliciously special … and it’s quite photogenic too! Pre-heat oven to 300 degrees F and line a large cookie sheet with parchment paper. Set aside. 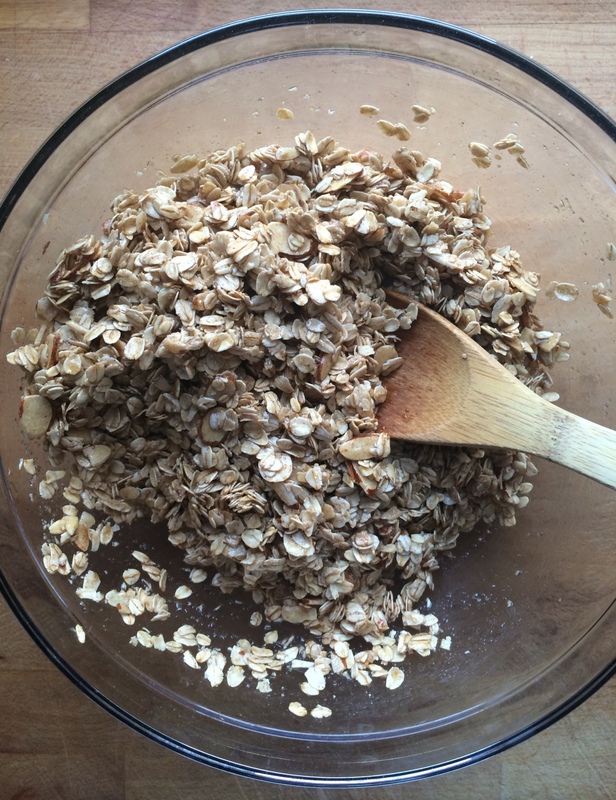 Combine oats, almonds, cinnamon, and salt in a large bowl. Mix to combine. Add liquid ingredients to the dry ingredients. Mix well so all of the dry ingredients are thoroughly coated. Spread out evenly on the cookie sheet. Remove from oven, add dried cranberries, and toss to combine. 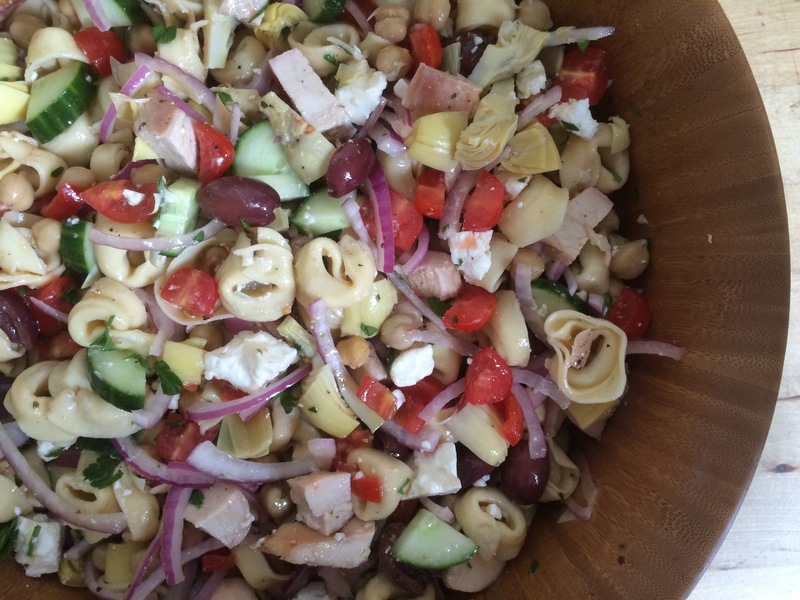 Allow to cool completely before storing in an airtight container. 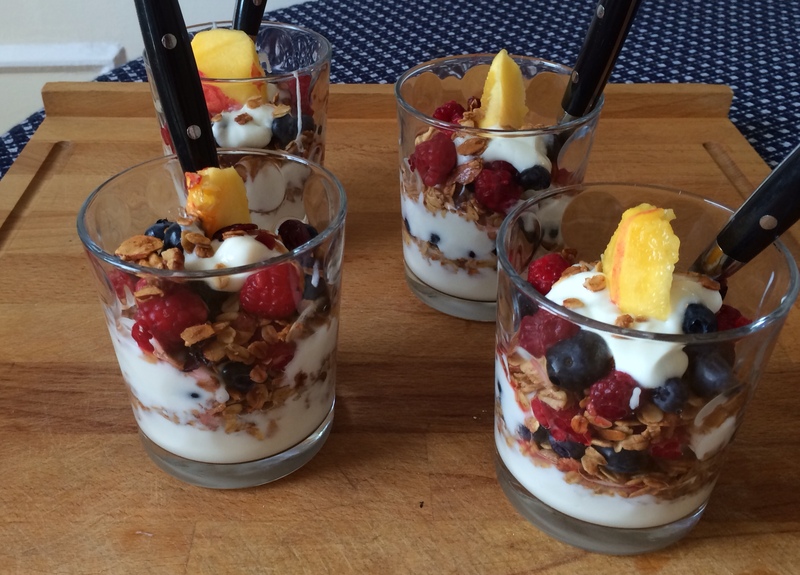 Note: Granola will last for 3 weeks in an airtight container. 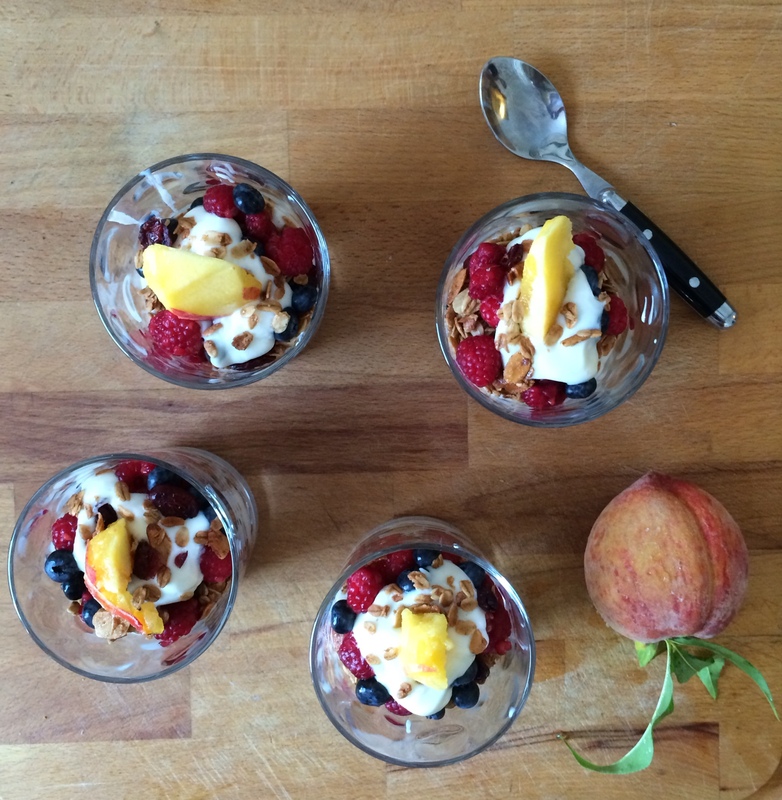 Serve with yogurt and fresh berries, in a bowl with milk, or as is to munch on as a snack. Clearly, I’m passionate about my snack time. These beauties won’t disappoint. Perfect for kids and grown-up kids alike. All the little nooks and twists are coated in garlic oil and packed with parmesan cheese, Italian herbs, and spicy red pepper flakes. 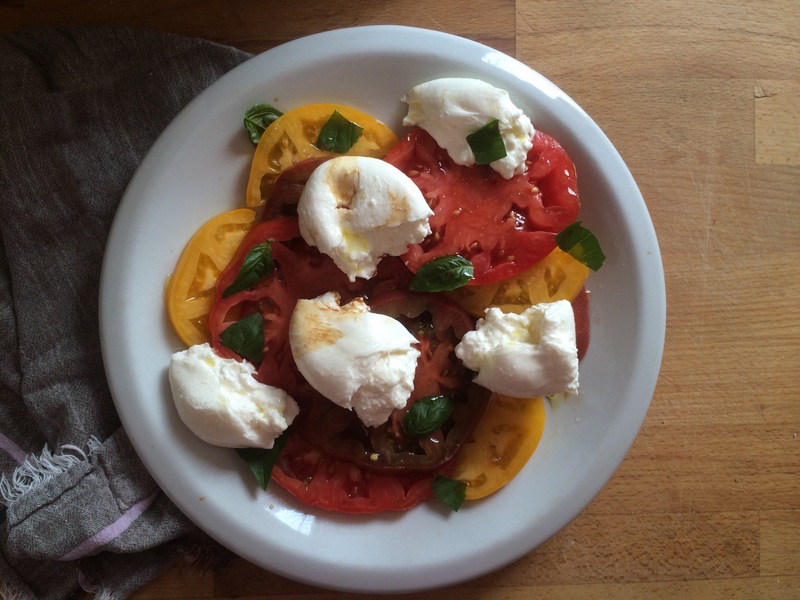 And, the red sauce … the perfect accompaniment. Make some garlic oil, roll out your dough, slather with a combination of parmesan cheese, herbs and red pepper flakes, fold-cut-twist-bake, another layer of garlic oil, and another dousing of glorious cheese. I know it seems like a lot of steps, but it couldn’t be simpler. 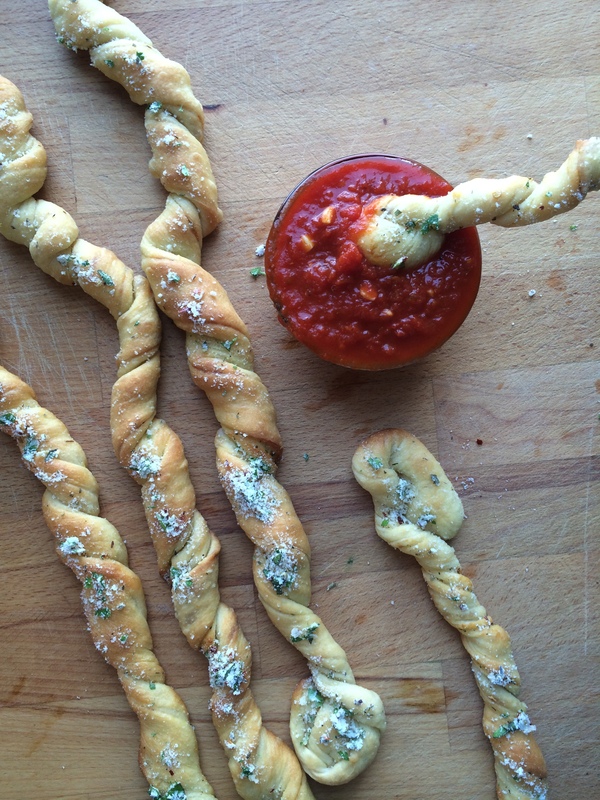 Bread sticks on steroids is what I have going on. 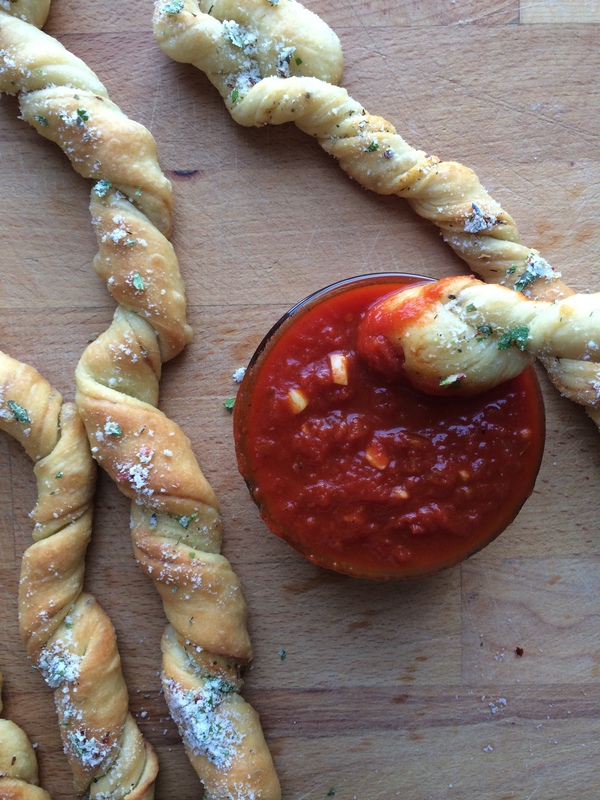 Twisty-Cheesy-Herby-Spicy-Saucy-Dunkable! A twist in one hand, a bowl of sauce in the other – go ahead, get dunking. Note: You will need additional oil for greasing the baking sheet, and flour for rolling out the dough. Prepare marinara sauce. Heat olive oil in a small pot over medium heat. Add onion and saute for 3-4 minutes until translucent. Add garlic and cook for an additional minute. Add the remainder of the ingredients and bring to a boil. Reduce heat to low and simmer for 30 minutes or until bread twists are ready. Pre-heat oven to 400 degrees F and lightly oil a large baking sheet. 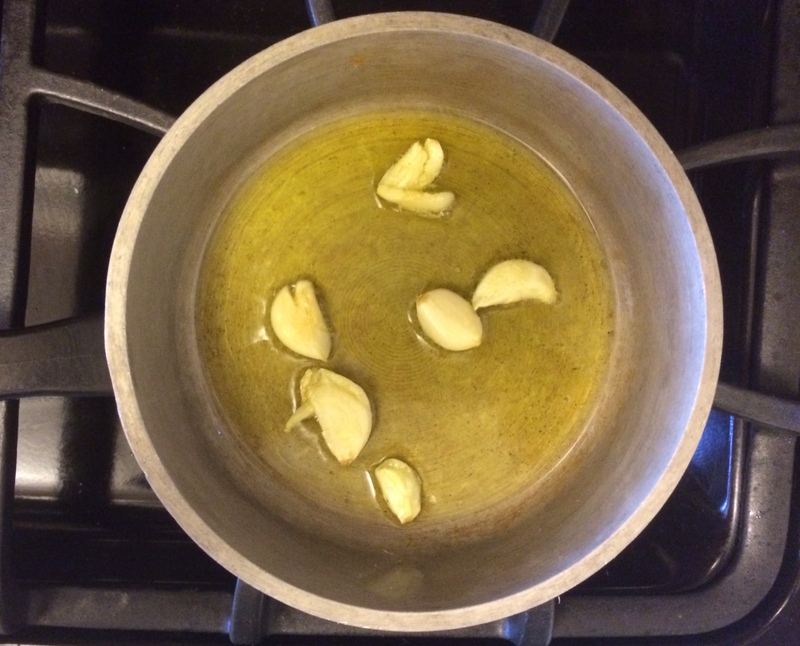 Combine olive oil and garlic in a small saute pan. Cook for 12-15 minutes over low heat until garlic starts to brown and oil becomes infused. Stir occasionally to make sure garlic doesn’t burn. 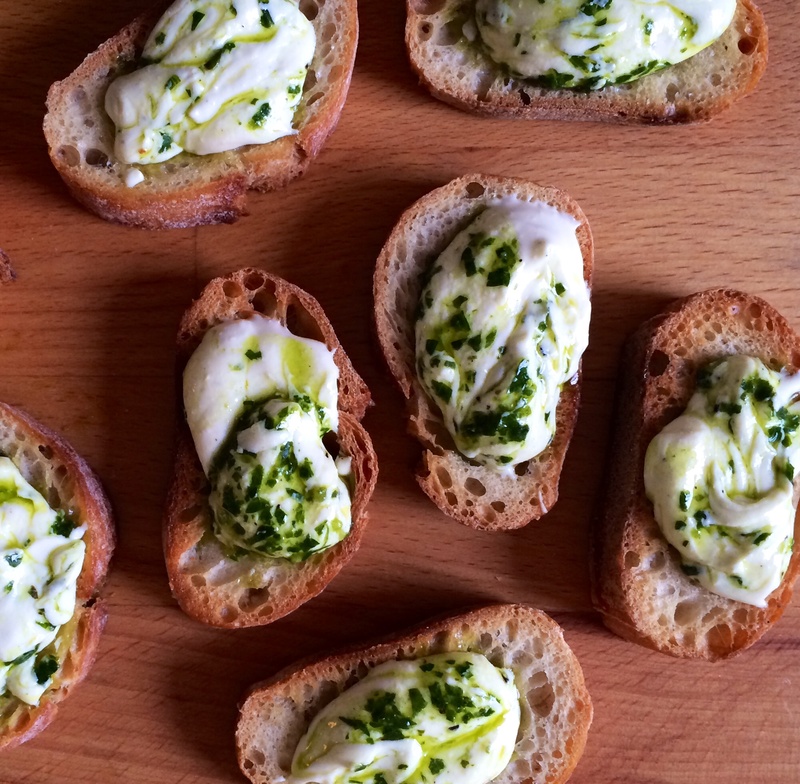 Be sure to turn garlic so it has a chance to toast on both sides. Remove from heat and reserve. Stir together oregano, red pepper flakes, and parmesan in a small bowl. Set aside until you are ready to use. Remove pizza dough from your refrigerator and allow it to come to room temperature. This will take about 30 minutes. Lightly flour a clean working surface and rolling pin. 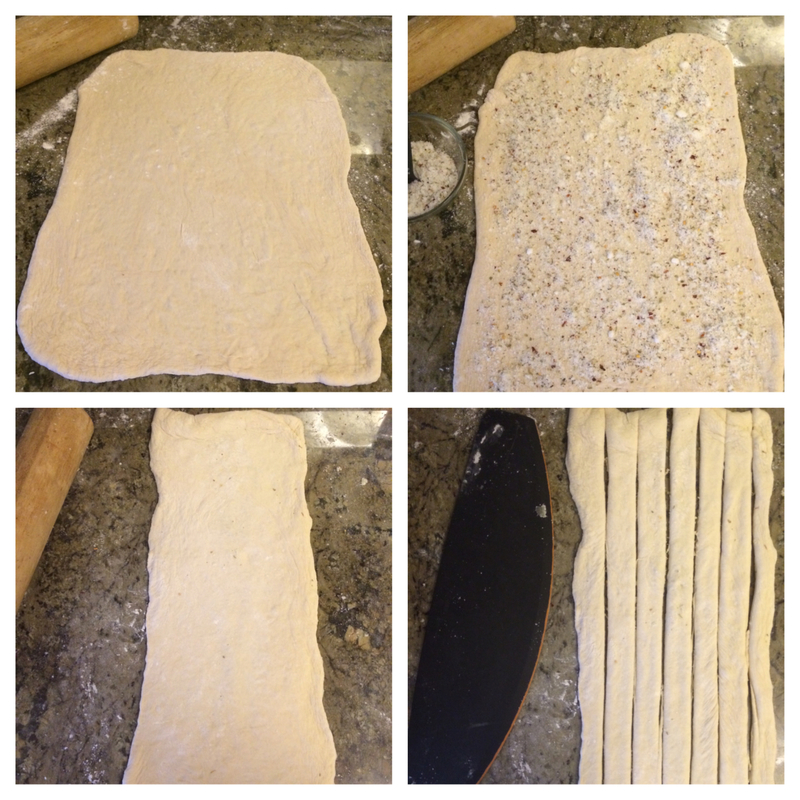 Roll out pizza dough into a 10 by 15 inch rectangle. Sprinkle the top of the dough with half of the herb cheese mixture, then fold dough in half and roll lightly to form a 8 by 15 inch rectangle. Measurements do not have to be exact, but try to keep them close. Cut lengthwise into 7 even strips with a pizza cutter or a sharp knife. Strips will be slightly less than 1 inch. 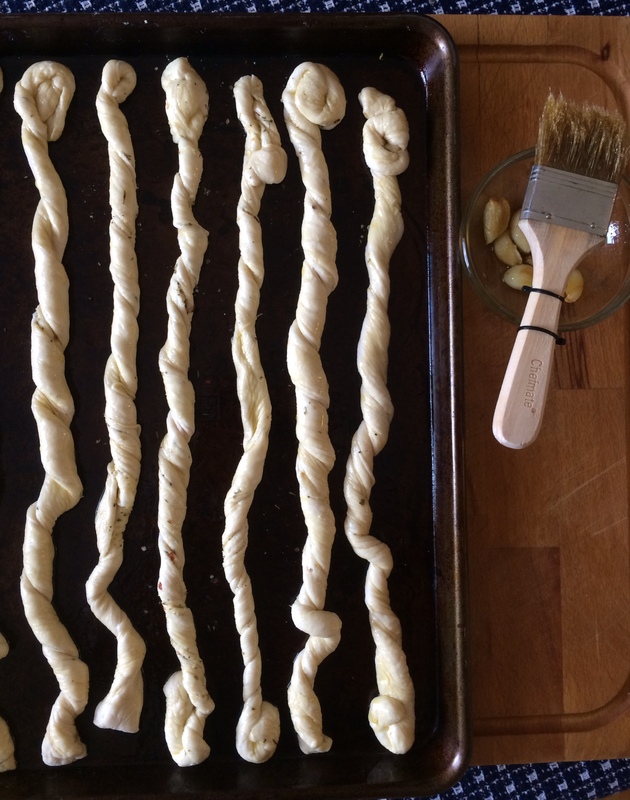 Twist each strip from both ends and place on baking sheet, arranging twists 1 inch apart. 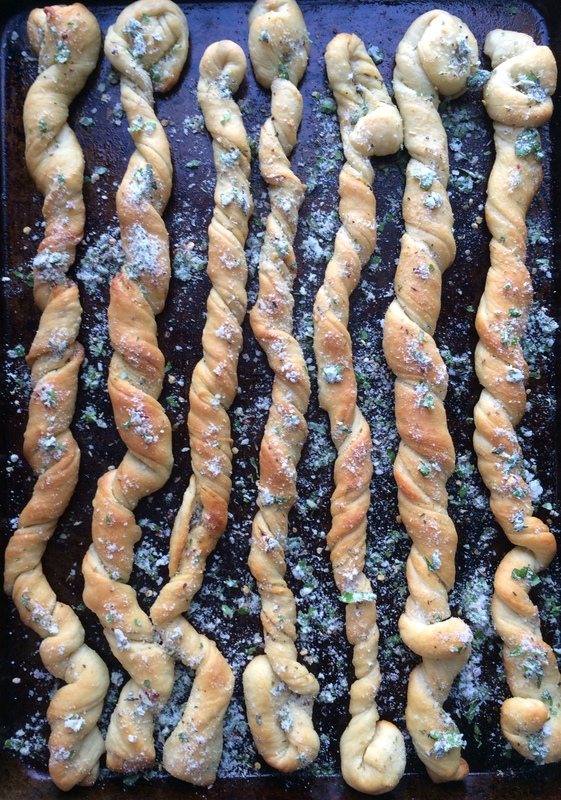 Brush twists with the garlic infused olive oil. You will use about half of the oil. Reserve the remaining oil. Bake bread twists until golden, 20 to 25 minutes total. Turn the baking sheet half way through the cooking process to ensure even cooking. Meanwhile, stir fresh parsley and basil into remaining herb cheese mixture. 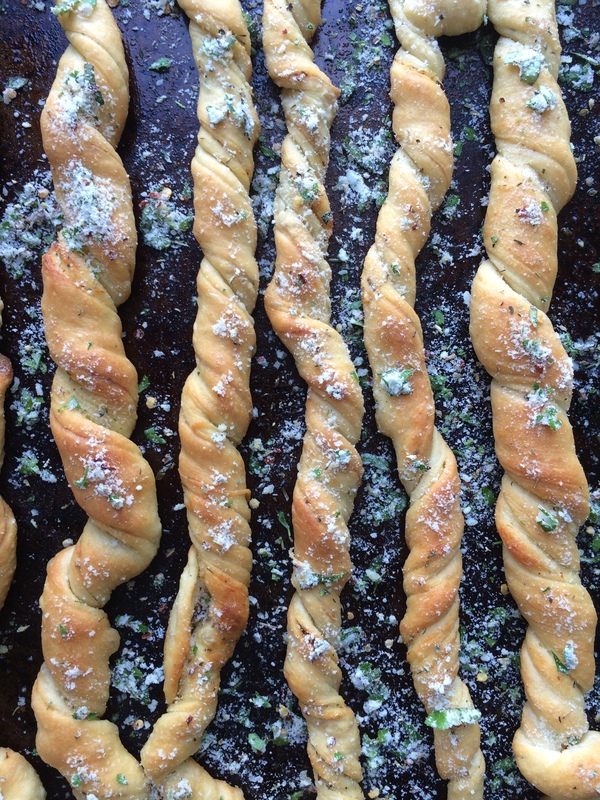 When fully cooked, remove bread twists from the oven. 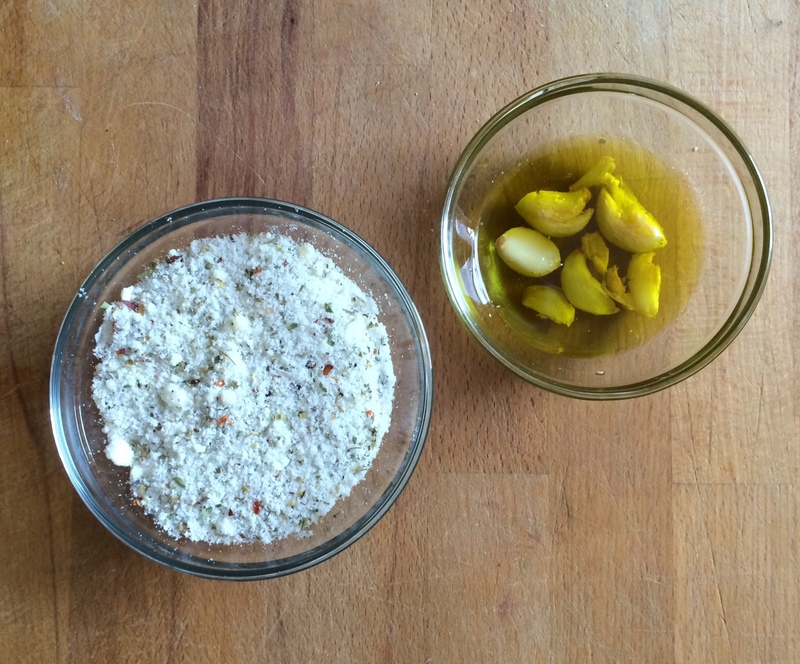 Brush with remaining garlic oil (this will act as the glue), then sprinkle with the remaining cheese mixture. Serve warm with Easy Marinara Dipping Sauce. Whipped feta and I go together like milk and cookies, Jell-o and jiggle, coffee and donuts, a wink and a smile, peanut butter and jelly (insert your favorite combination here). A match made in heaven! I slather this stuff on anything and everything. 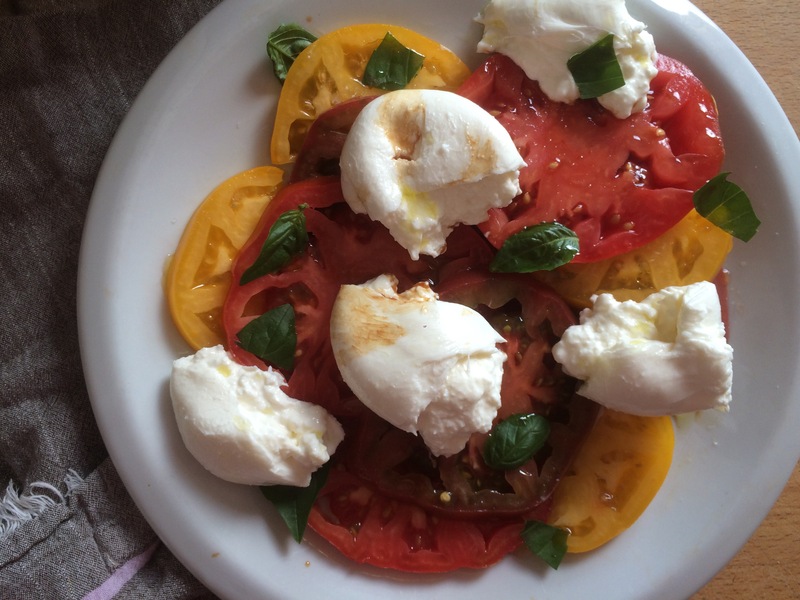 In this recipe, I pair it with a delicious herb oil. Eat the whipped feta by itself, in a sandwich, on pizza, on a burger, with crudites as a dip, in these delicious cucumber canapes, or on top of a Greek salad. You get the drift. This can go with just about anything. Last week I walked out of work and went straight to the grocery store. Before I knew it, I was spooning this whipped gold straight from the bowl of the food processor into my mouth. Normal behavior when dealing with whipped feta. 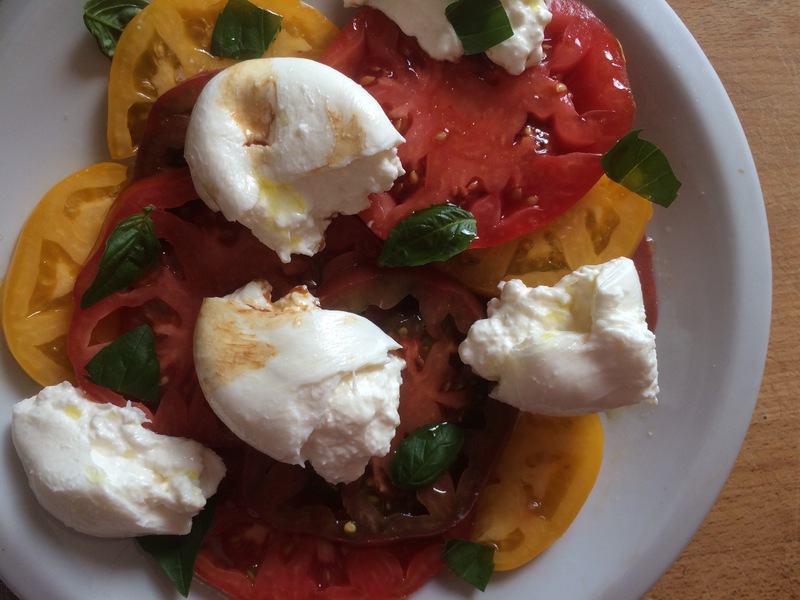 First, make the whipped feta. Combine feta cheese and cream cheese in the bowl of your food processor and pulse until cheeses are well blended. Add olive oil, lemon juice, and black pepper. Pulse again until whipped and smooth. Adjust seasoning to your taste, add salt if necessary (I did not add salt to mine). Transfer to serving bowl and reserve. 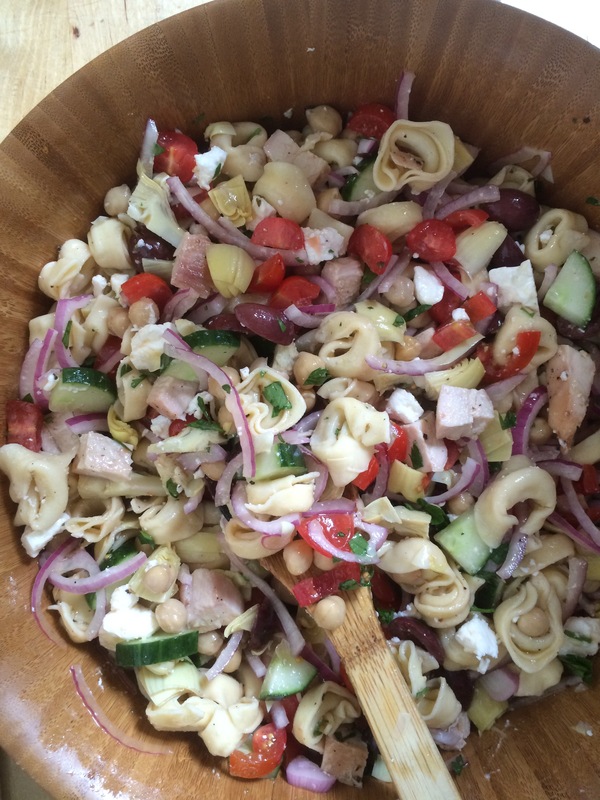 Note: Whipped feta will last up to 1 week in your refrigerator. Next, make the herb oil. Combine basil, parsley, garlic, lemon zest, lemon juice, salt, and pepper in the bowl of your food processor. 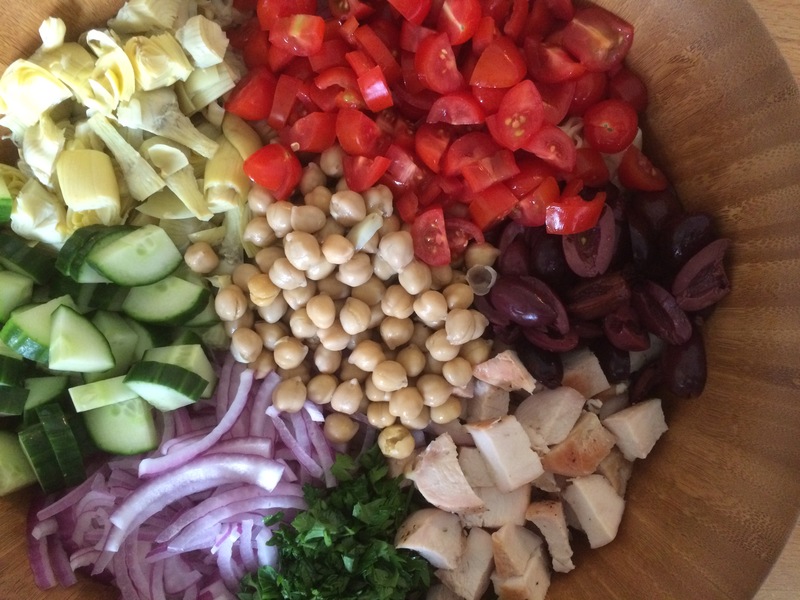 Pulse until ingredients are roughly chopped and combined. With the food processor running, slowly add the olive oil until herb oil comes together and is emulsified. Note: Herb oil will last up to 3 days in your refrigerator (be sure to bring herb oil to room temperature before you use leftovers). 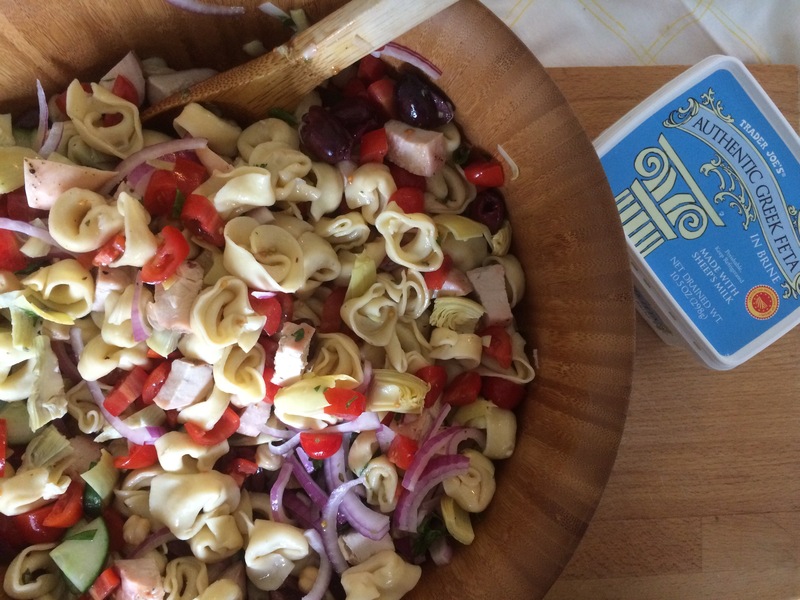 Leftover herb oil is wonderful tossed with warm pasta, and also makes a wonderful addition to a vinaigrette. 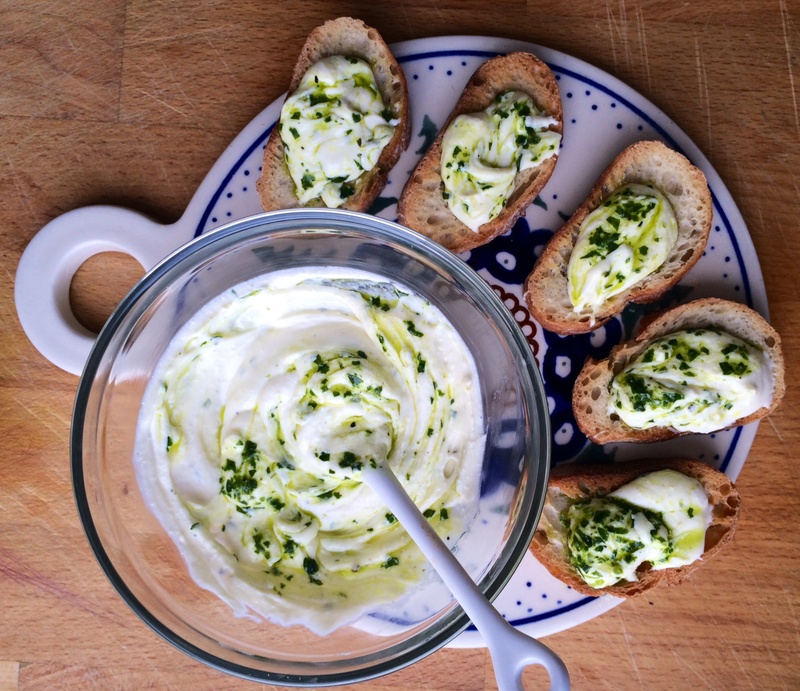 Drizzle the top of your whipped feta with the herb oil (as much or as little as you would like). 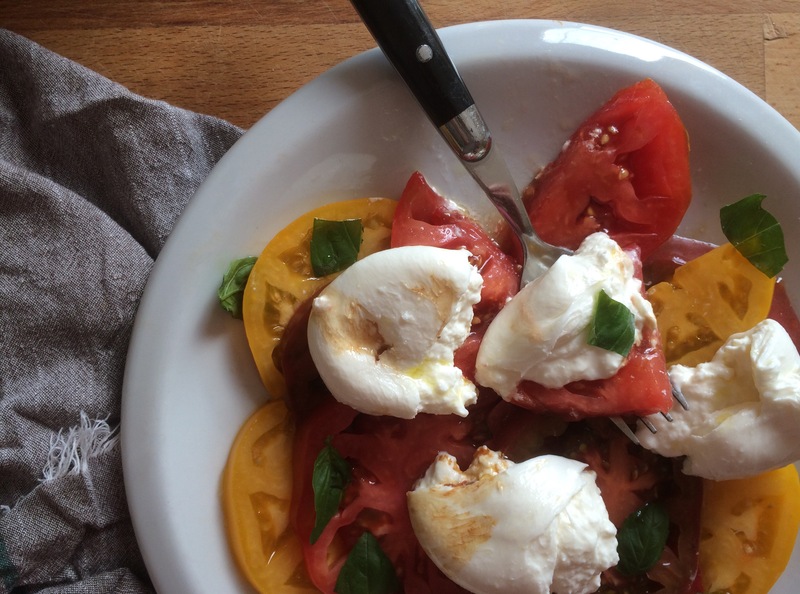 Serve immediately with fresh baguette toasts (I often times top mine with a slice of tomato, not pictured), or one of the many ways indicated above.